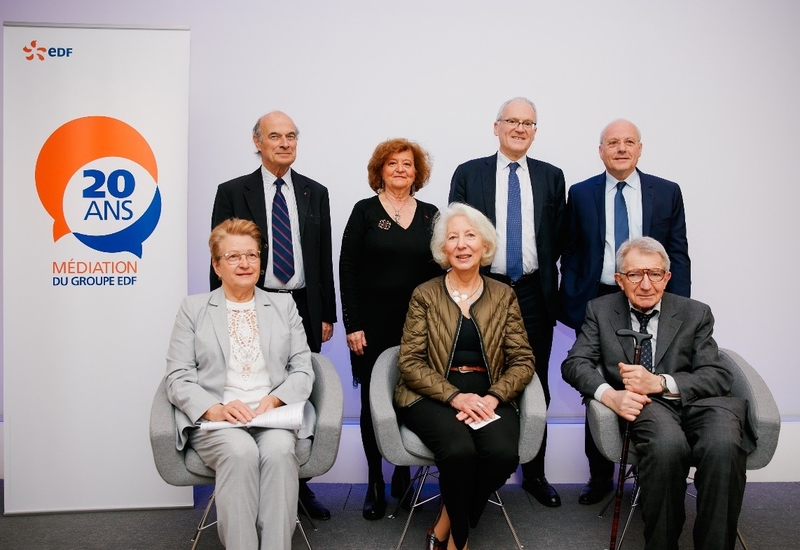 The twentieth anniversary of EDF Mediation Group has been celebrated on Tuesday, the 12th of March, 2019, with the participation of the current President, Jean-Bernard Levy, as well as two of his predecessors, and most of EDF Group past mediators , to which Alain Briere has succeeded. 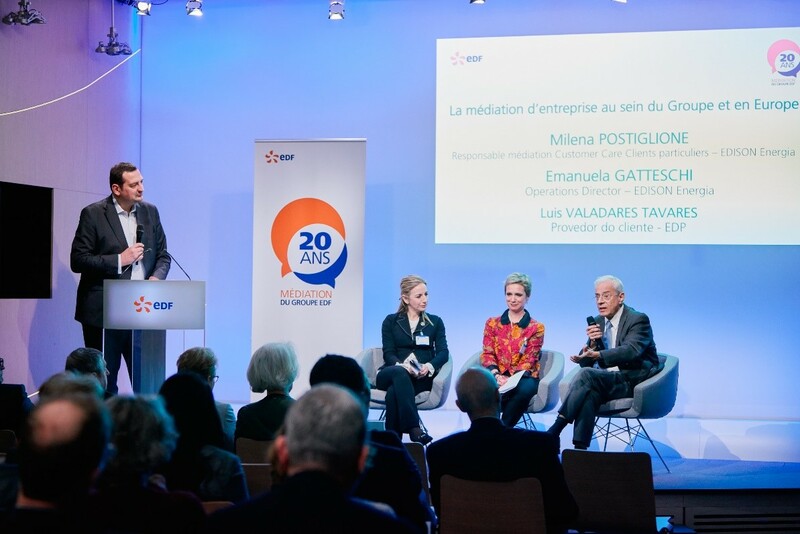 During 20 years, the various EDF group mediators teams have instructed more than 13 000 requests, either coming from consumers or associated parties, like suppliers and subcontractors. Jean-Bernard Levy has declared that the quality of the relation with EDF group customers as well as the respect of the associated parties are main priorities for EDF Group. As EEMG President, Alain Briere had invited his Italian and Portuguese colleagues to present their mediation activities inside their companies, i.e respectively EDISON and EDP. Milena Postiglione, in charge of Mediation within Customer Care for Edison Energia and EmmanueaA Gatteschi, as Operations Director, have explained the process related to amicable settlement of claims in Italy as well as Edison implication in the system. Luis Valares Tavares, as “Providor do cliente”, has explained he is ADP Mediator since ten years now. He particularly insisted on the new challenge linked to the “100% digitalization” of his activity since the beginning of 2019. As a conclusion, this event was an occasion to discuss about the merits and the benefits of company mediation for the consumer and the associated parties: the process allows to restore trust in the relation between the company and the plaintiff, as well as contribute to improve the operational performance of the company/group.